Smith Commission: A 'Scottish Trap' for the Labour Party. Smith Commission: We Voted No. Not for More Powers. The Happy and Glorious Games: "Britain, we did it right!" 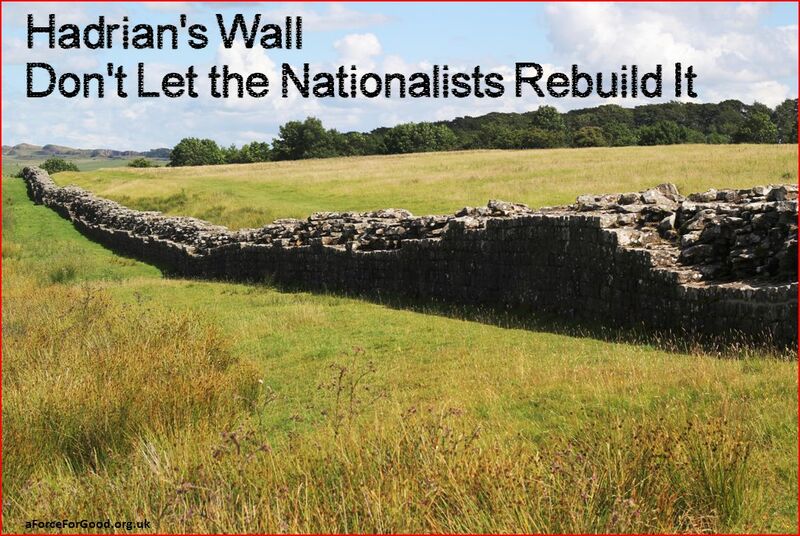 It's about Service to Humanity, not "Freedom from the English"
We Endorse the United Kingdom on Principle, not the Nationalist Frame of "the status quo"
A Separatist's Work is Never Done: Why the SNP will Not "Disband" after "Independence"
John McTernan: "Remember Bannockburn? I'd rather not, thanks"
Andrew O'Hagan: "The SNP are a 'parcel of rogues'"
Lorna Martin: "Betrayed? No, Scots wanted the Union"
Henry McLeish "Kick politics of envy into touch"; Peter MacMahon "Jack McConnell should set an example"; Alastair McKay, "Be ashamed if you hate England"
David Aaronovitch: "I'm fed up with this myth of superiority spouted by the Scots" and "Meet Mr SNP and his fantastical snide-show"
Amusing Designs, Graphics and Slogans created by A Force For Good. Our Commemorative Photos, Designs and Slogans. Unity Debate: Which Policy Matters are Reserved at Westminster? This site is our previous site which ran from 21 March 2012-30 April 2018. Six years later, on British Union Day, 1 May 2018, we launched our new site which you can access by clicking on the Header above. The Legacy site, below, remains as a valuable Archive of our work during the above 6-year period. This chapter considers the idea of even more devolution and the extent to which this will risk becoming separation in all but name. This article explains the difference between Administrative, rather than Legislative Devolution. In the second of our 3 videos examining the proposals of the Smith Commission we demonstrate the pro-UK Principles which are at risk, and we have some good advice for the Labour Party. Video and Transcript. The British Parliament is the ultimate law-making body in the UK. Neither the so-called 'vow', nor the Smith Commission Report is binding upon Parliament. Our MPs are urged to change the Draft Bill. 6 Principles upon which to Stand, 5 Guidelines to ensure we Win Overwhelmingly, and 4 Strategies to guarantee we Dominate the Long-Term. Our Submission to the House of Commons Political and Constitutional Reform Committee, highlighting the dangers to the Union of the "English Votes for English Laws" and "Full Fiscal Independence" proposals. This is the second document in our Trilogy of post-referendum work. In the first of 3 videos examining the Smith Commission proposals, we emphasise the dangers to the UK of devolving tax powers. Video and Transcript. Our pro-UK, principles-led advice to the Smith Commission pointing out the danger of further devolution to the integrity of the United Kingdom, and proposing the correct route. This is the third document in our Trilogy of post-referendum work. In the presence of a significant separatist movement, devolving power will always be potentially hazardous to a union. Therefore, unionists must always be ultra-cautious about supporting any form of devolution in a context where there is a significant separatist movement which will use such power against the union itself. If Devolution is meant to "Strengthen the Union" then it must be a Two-Way Street with powers flowing back to our British Government, and not just away from it. This article offers some policy suggestions. If the Labour, Lib Dems and Conservative parties go into the referendum promoting further devolution as "the alternative", then they are in danger of accepting the premise of the nationalists that the UK is a bad thing, moving the terms of the debate onto vulnerable grounds, and making it very difficult to argue convincingly to stay with the UK. If you think Scotland has a unilateral right to demand "more powers" or "full fiscal autonomy within the Union", then you don't understand what a union means. At worst you're being selfish and inconsiderate, and ultimately you'll be harming the social union, says Alistair McConnachie. SCOTLAND cannot seek to stay within the UK 'marriage' but seek fiscal autonomy, argues Hugh McLachlan, in considering what questions to ask in the independence poll. Britain is on a journey through time towards perfect Union. A Speech by Alistair McConnachie on 7 June 2016 in London. This speech was delivered by Alistair McConnachie on Tuesday 18th June 2013, in London. He looks at some social and cultural ideas which apply to the United Kingdom. Separatists have a vision of "freedom", for themselves, from the UK, and England and the English in particular. We have a vision of the people of the UK working together to serve each other and the world. Rather than "inevitable separation", it is more realistic, optimistic, and politically effective, to understand Scotland's past, present and future as an evolving journey towards ever closer union on these islands. Councils, government buildings, private organisations and individuals can show support for the UK by flying and wearing the Union Jack. 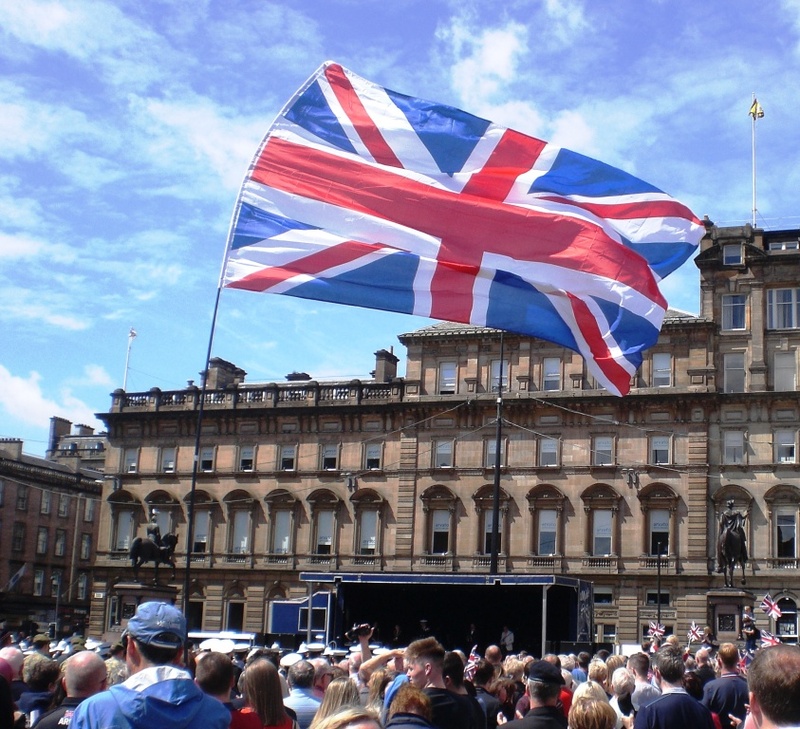 The challenge for unionists is to restore the Union Jack as a flag of Scotland, and 2014 is going to be all about that. The positive pro-UK vision recognises Britain's interdependence, and that together we can be a force for good in the world. This chapter explains and develops aspects of the strategic struggle against the separatists. Our Reasons, What we Must Do, and FAQs. A Speech by Alistair McConnachie on 18 June 2015 in London. This article examines the Holyrood 2016 Elections. Revealing some of the recurring rhetorical devices heard daily from the SNP and the supporters of separation. Nationalists will always ask their leading questions, "What Kind of Scotland do you Want?" or "What is your Vision for Scotland?" Our first response should be, "A Scotland that is always part of the UK!" We examine the results of the 7 May 2015 General Election in detail. This article examines a brand of nationalist disinformation aimed at 'worming into' the unionist mind in order to mislead it towards a separatist conclusion. We make many important observations and useful suggestions in this 6,500 word document. This is the first document in our Trilogy of important post-referendum work. 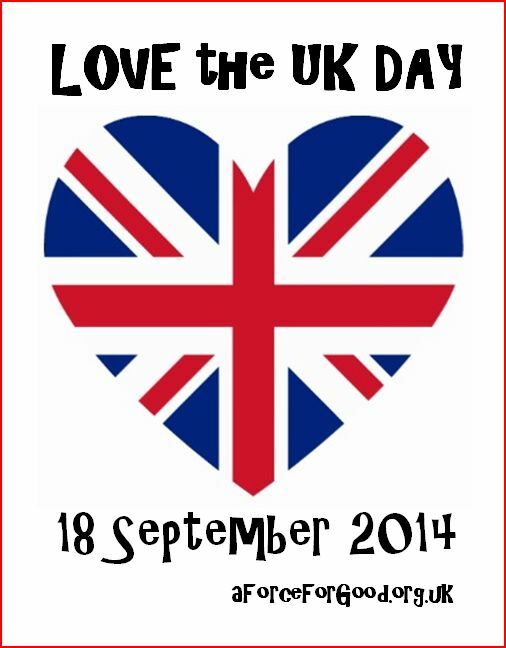 At the referendum, we will be voting positively to show our love of Britain. 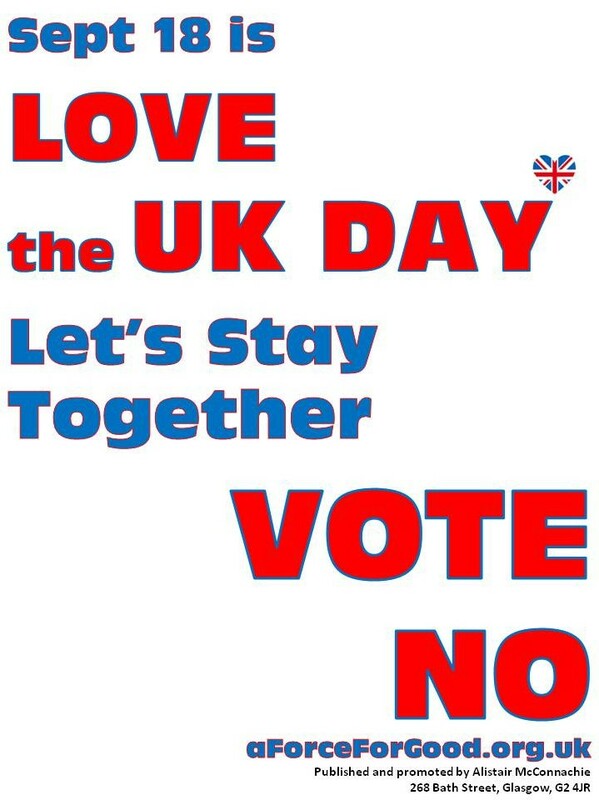 It is a vote to re-affirm our support for the Union and to re-dedicate ourselves to the UK. It is not a vote on the policies of the present government. How a matter is "framed" for people to see and consider, is crucial to ultimately determining the decision that people will make. Therefore, more emphasis needs to go on the value of the UK, to ourselves and to the world. 'South of the Border', 'London papers', 'Westminster Parliament', just some of the subtle phrases which deliberately frame the issue to create a bias for the anti-UK side. The nats use words to get us 'thinking separately', so let's watch our language. We list the journalists in the Scottish media who regularly talk Britain down, and explain how and why they do it. It is revealed as just another separatist strategy in disguise when we start asking "where is home", and "who decides what is possible". Vote to endorse the principle of the UK, not the political practices of the moment, some of which we may consider good or bad, and which are, in any case, always changing. 4 reasons why the SNP is not going away on its own accord even if it were to win the separation referendum - and what this means for unionists. This chapter promotes positive points in favour of the United Kingdom. The choice to have a dual identity which is both Scottish and British is another positive benefit of the UK; and it offers the best of both worlds. 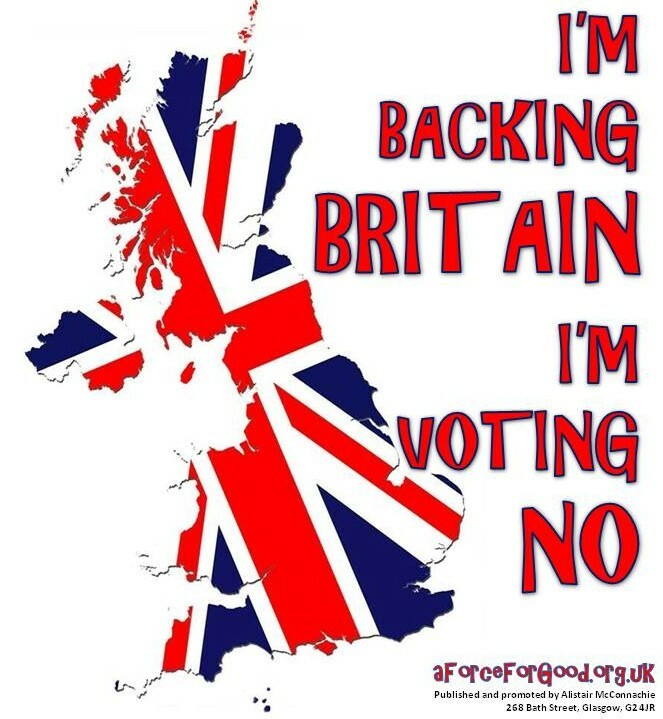 However, a separate Scotland would, inevitably, make it harder to be British, and would ultimately remove the choice. There are plenty of reasons why the British identity is a Great one and here are some of them, says Alistair McConnachie. The first in a series of short videos addressing the positive case for the Union and frequently-heard nationalist errors. Full transcript. The second in a series of short videos addressing the positive case for the Union and frequently-heard nationalist errors. Full transcript. The lesson to be learned from the demise of much of Scottish heavy industry during the latter part of the 20th century is that it was the Union which gave life to it in the first place, and it will be the Union which will continue to give life to our economy in the years ahead. Scottish nationalists will often say that in the event of "independence", Scotland will not need a proper Army, or Navy or Air Force because "no-one is going to invade Scotland". This demonstrates a complete lack of understanding of the point of a modern armed services. All the good things involved in its reality - past, present and future - is the positive case! And of that positive case there is no end to telling. This chapter pulls apart the various pillars which separatists use to prop up their position. What were the reasons and should we be worried? Rather than talking about so-called "independence", based on False Premises, we should embrace our inter-dependence within the United Kingdom, and accept that our destiny is to be bound intimately with each other on these Islands, and be thankful and glad of that. Separatists seize on a sentence from a 1953 court case to construct an inaccurate and potentially harmful concept of Scottish sovereignty. Here is why there is not going to be a second independence referendum, regardless of how Scotland votes at the EU Referendum. 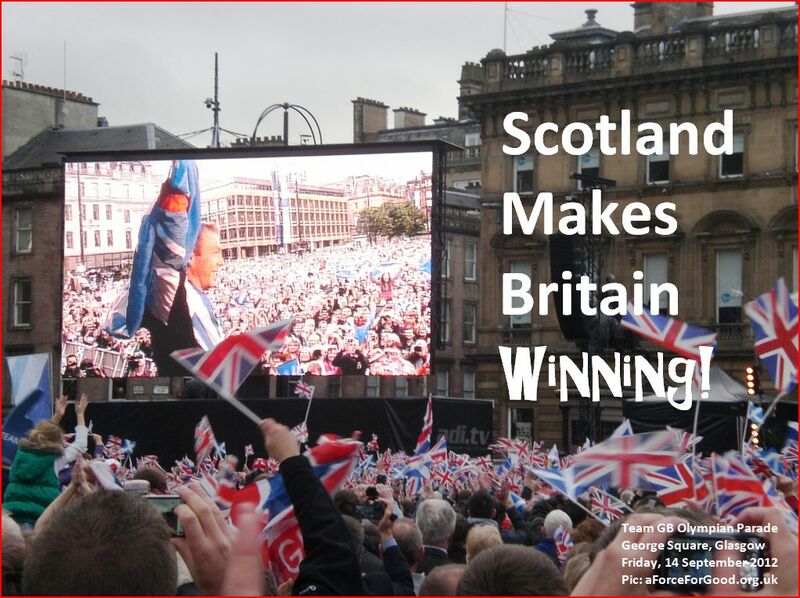 Contrary to separatist mythology, out of the 18 General Elections since 1945, Scotland has got the party at Westminster which won the Scottish popular vote 12 times. That is, exactly two thirds of the time Scotland gets what it wants. Britain united is greater than the sum of its parts. What we have in common is greater than any differences there may be. A problem in any part of Britain is a concern of us all and the challenges which confront all of us throughout these islands can best be resolved by working together in union, as one. On the day the Nationalists announce they are cancelling their 2014 March, we remember their 2013 Separation March, which revealed the emptiness of their vision. A report on the March and Rally for Scottish Independence in Edinburgh on 21 September 2013. The nationalists' notion that Scotland can retain automatic membership of the EU, NATO and the Commonwealth is built on an 18th century pre-democratic age reading of constitutional law and history, which conveniently ignores the past 300-plus years of British constitutional and democratic development. The 'March and Rally for Scottish Independence' on 22 Sept 2012 demonstrated the message is still confined within a strange fringe fusion of international socialism and romantic nationalism. We don't talk about "Scotland's right" to this or that. Rather, we ask, what is the responsible thing for Scotland to do in its unique circumstances? What is the right thing, what is the moral thing, for Scotland to do? Separatists want to hitch a ride on the goodwill generated by the British Commonwealth Games but their actions would take Scotland out of it. One third of the competitors at Glasgow 2014 have the Union Jack as a flag of their country. 2014 will see us celebrate the British Common Wealth Games, not the Separate Divided and Poorer Games. This chapter explains and promotes the valuable Traditions, Institutions and Symbols of the United Kingdom. This article addresses some issues specific to Scotland. "The ebb and flow of the dream of union washes around the British shores like the seas that surround it, confirming to its inhabitants the islands' independence from mainland European geography and history, and the Union Jack, made by laying together the crosses of the realm's national patron saints, is its symbol." The SNP want to destroy British-wide public service broadcasting. Here is how to make our voices heard. Vesting sovereignty in the body of the Queen does not deprive the people of it, but provides a visible and tangible symbol of it! The notion that a verse about "Marshal Wade" crushing "Rebellious Scots" is, or ever was, part of the British National Anthem is thoroughly debunked in this 5,500 word examination of the evidence. In a changing world, people are looking for continuity and consistency, for something which is always here, today, tomorrow, and the day after. The monarchy is that institution and represents a nation's sense of identity in a way that a here-today, gone-tomorrow politician simply cannot. Robert Burns was both a Scottish and British patriot and when his loyalties were questioned, he was keen to emphasise that fact. An 84-page booklet with essays on the positive case for the Union. Sir David Wilkie's 'Chelsea Pensioners Reading the Gazette of the Battle of Waterloo'. The BBC is a British national institution. The separatists hate it. We should protect it. The Magna Carta, or the 'Great Charter' was a thoroughly British affair, with its creators arriving in Runnymede from all parts of the British Isles, including Scotland. The ceremony, ritual, and symbolism, and the associated pomp and pageantry, are intended to remind us where we have come from in order to get where we are today. It is intended to link the national consciousness of the present to the national story of the past. This has the practical benefit of grounding our lives within a meaningful national context. Alistair McConnachie outlines a succinct case for the British Monarchy. The word "Jack" also gives it an appealing down-to-earth popular character - gives it a personality, a name, conferring almost a human identity, on our friend. This chapter considers the extent to which we are forever intimately bound in the UK. The British identity is a useful identity with spiritual elements interwoven through it. Census 2011 says a lot of Scots claim to be "Scottish Only" but the truth is we could not live without our Britishness, and we can become more conscious of this obvious fact. If Scotland left the UK then England would become a shadow of its former self says Alistair McConnachie in this major speech. This article examines "the complexities of severing two sub-nations which have been entirely joined as a single nation for three centuries, partially joined for four, and have a complex mutually interlocking social and political history going back perhaps a millennium or more." This chapter speaks to our shared efforts and aspirations, as people of these islands facing our future together. We support England at football because it is part of the same country as Scotland, called Britain. This chapter compiles some especially pithy, powerful and pointed newspaper articles. Cherishing the grievance of a medieval nobleman is not an appropriate founding myth. There was no "parcel of rogues" being "bought and sold". Some Scottish football fans' arteries are 'marbled in spite'. Attitudes of cultural superiority demand a history, or rather, a mythology to sustain them. The sixth in our series. Here we examine the nature of the opposition. The fifth in a series which examines the Scottish desire for the 1707 Union; and which recounts that the Scottish Parliament of the time stated to King William in 1689, "...we want nothing more than that the two kingdoms should join together in a single body politic under one head and sovereign and become one nation with a single parliament." The fourth in a series which examines the Scottish desire for the 1707 Union: "those who are for the total and true Union of Britain, are...the true patriots of their country." A famous photograph in WW1 Glasgow history has been misrepresented for almost a century. We explain the fascinating truth of the matter. 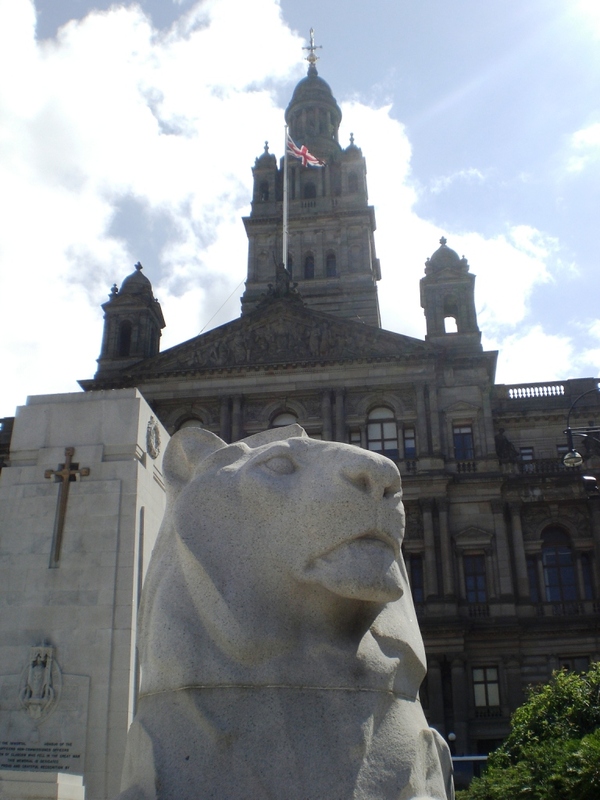 The third in a series of articles which examine the Scottish roots of our United Kingdom. 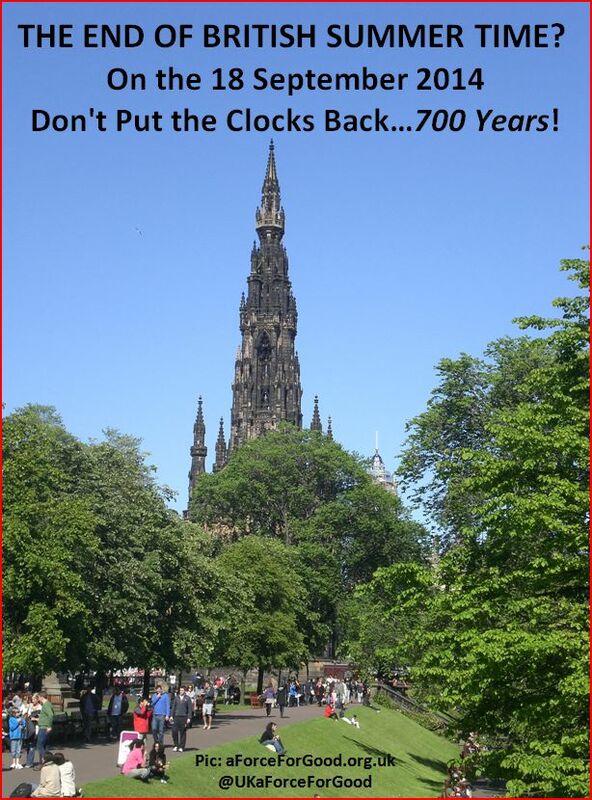 The second in a series of articles which examine the Scottish roots of our United Kingdom. 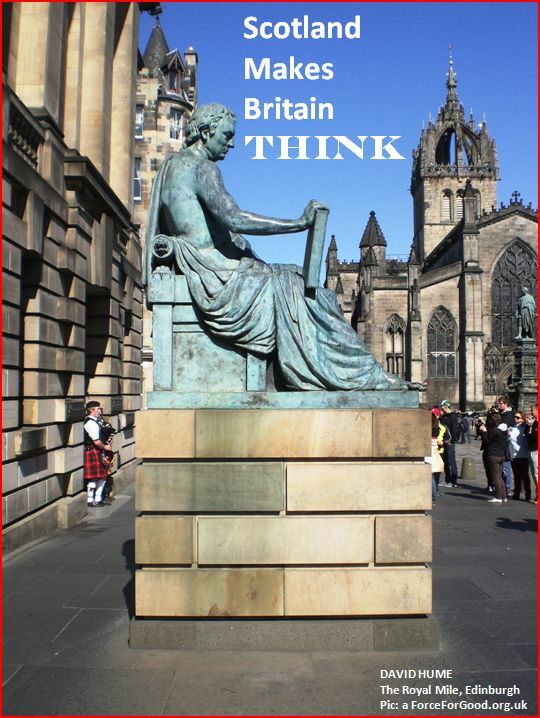 The first in a series of articles which examine the Scottish roots of our United Kingdom. This page brings together some of the Designs, Graphics and Slogans which we have created at A Force For Good. This page brings together a selection of various light-hearted Designs, Graphics and Slogans created by A Force For Good. Showcasing general Photos, Designs and Slogans produced by A Force For Good. This page brings together the Designs and Slogans based around our "Separation Won't Solve It" Theme. This page brings together the Designs and Slogans based around our "Scotland is Our Country Too!" Theme. 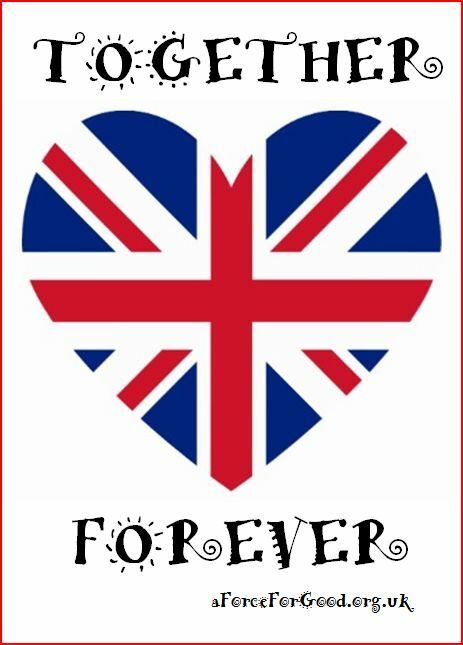 This page brings together the Designs and Slogans based around our "Made in the UK" Theme. This page brings together the Designs and Slogans based around our "Vote KNOW" Theme. 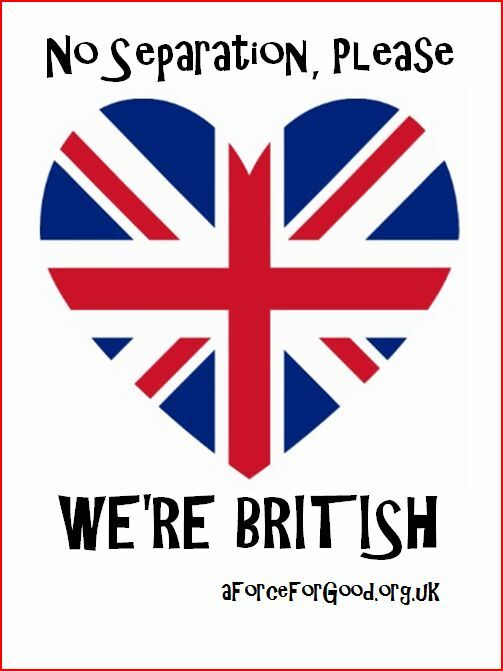 This page brings together the Designs and Slogans based around our "Great Britain – Be Part of It" Theme. It is updated several times in the week. 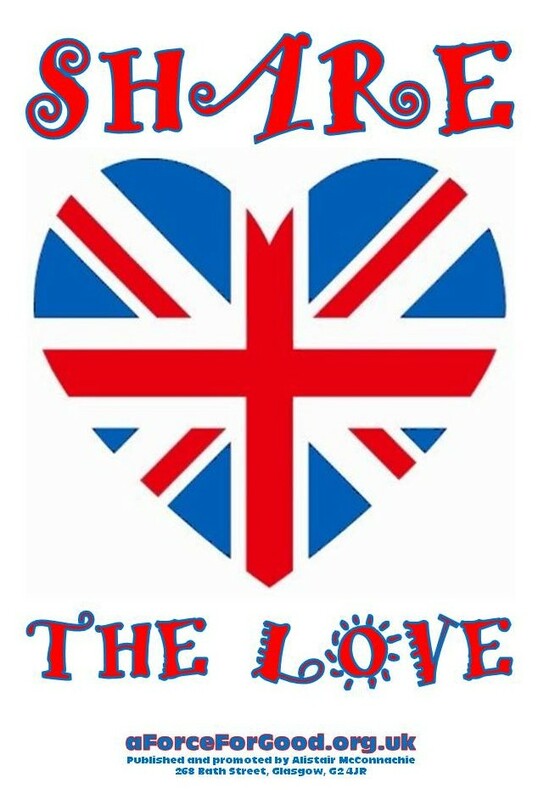 This page brings together the Designs and Slogans based around our "Love the British Heart" Theme. 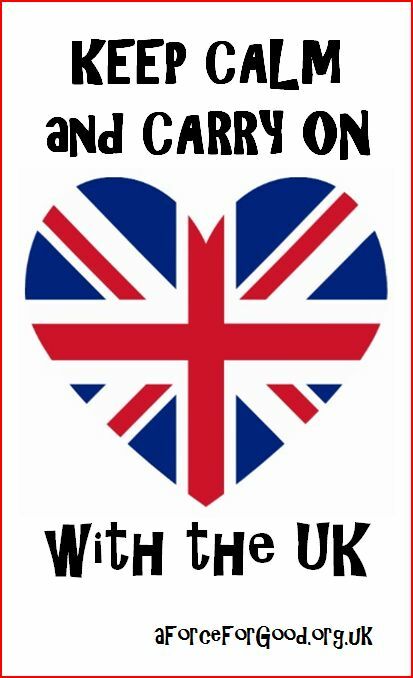 Showcasing our "Backing Britain" theme of Designs and Slogans. This page brings together the Designs and Slogans based around our "British Caledonia" Theme. This page brings together the Designs and Slogans based around our "Gonnae NO Dae That" Theme. 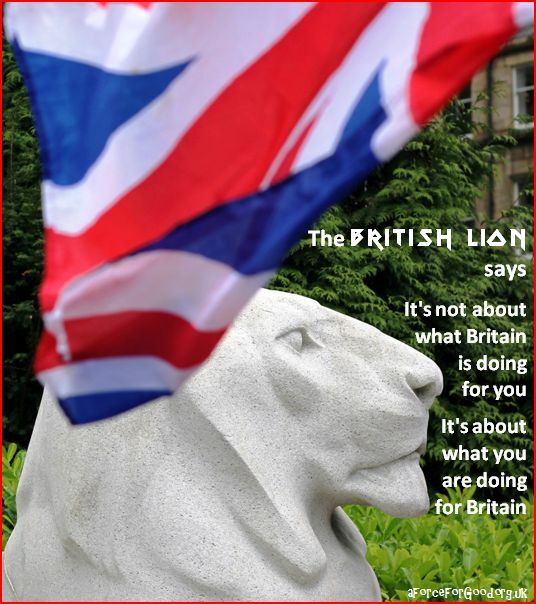 This page brings together the Designs and Slogans based around our "British Lion Speaks" Theme. This page brings together the Designs and Slogans based around our "British Wealth in Common Games" Theme. This page brings together the Designs and Slogans based around our "Scotland Makes Britain..." Theme. This chapter discusses technical matters related to the separation debate, and the referendum proposals. This article explains the legal basis for the franchise at the Love the UK Day referendum. Massive constitutional change should only be passed if supported by a sufficiently large majority. We look at the competencies of the Scottish Parliament. Alistair McConnachie examines Holyrood processes. Videos produced by A Force For Good on Scotland's rich British heritage and culture. We send an Email Newsletter fortnightly. You can unsubscribe at any time and we never share your details. Please help our work to continue by donating via PayPal. Or click on a link below to donate on the 1st of every Month via GoCardless. If you would like to pay a different sum on a different schedule or different date, please contact us and we'll send you a suitable link. FAQs on GoCardless answered. Or look at other ways to donate. Content of this website, including images where stated, is copyright © A Force For Good.